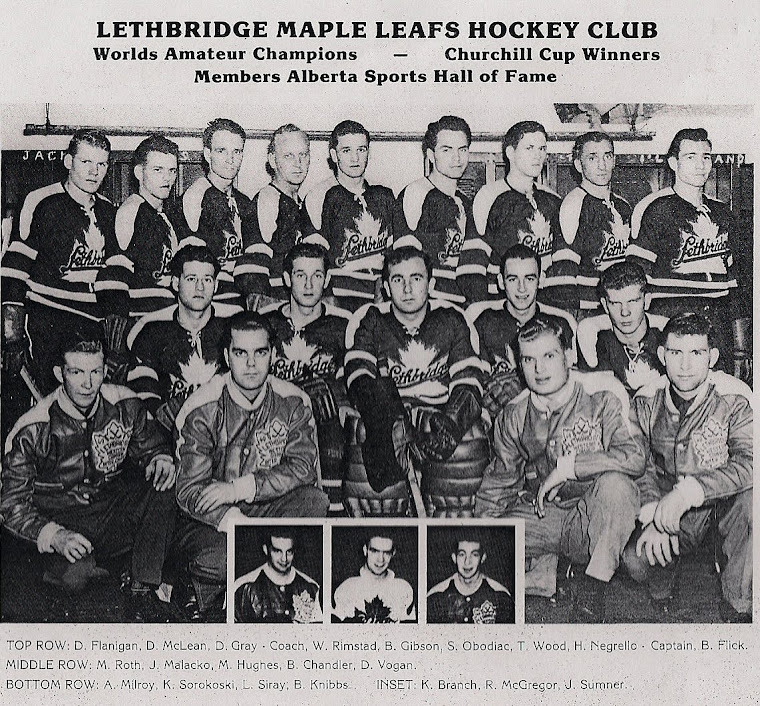 On February 1, 1951 the Lethbridge Maple Leafs first learned they would be the first Canadian team to play in the newly created Winston Churchill Ice Hockey Series. 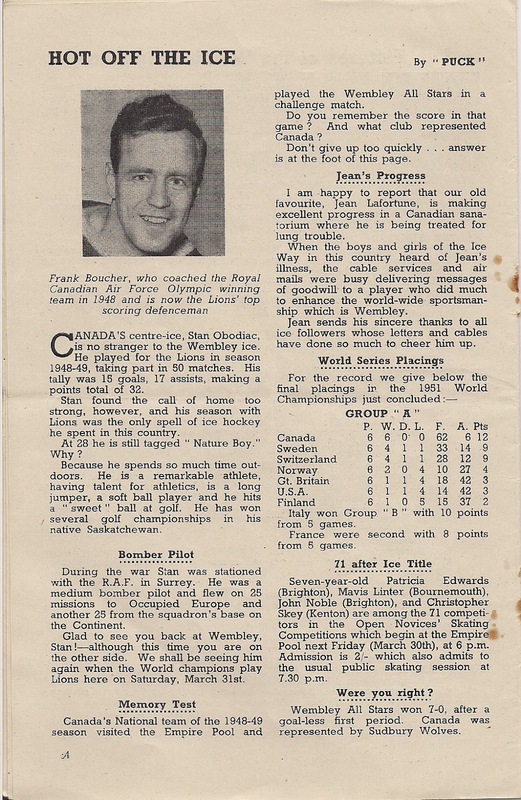 Bunny Ahearne was the originator of the series which would be for the Winston Churchill Cup. 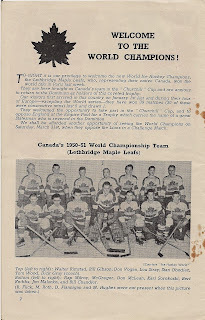 Organizers had high hopes for developing this series into one of the premier championships in hockey. It took place after the Paris world championships, in London, England. 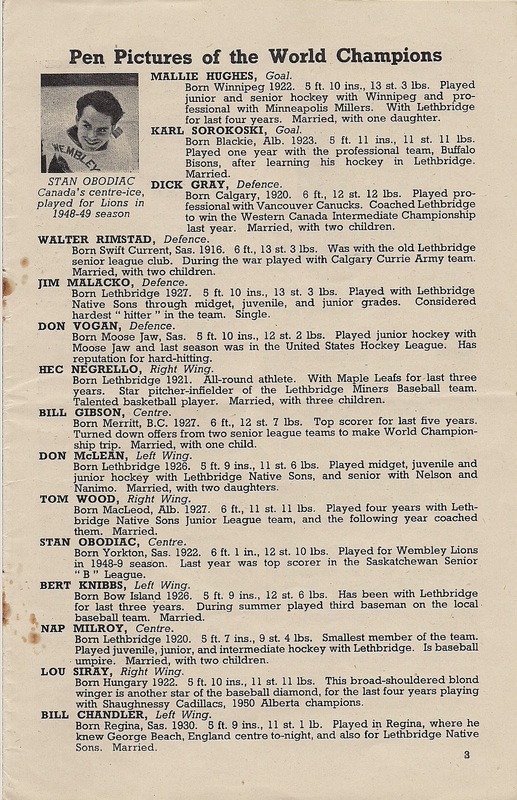 Three nations were invited: The Lethbridge Maple Leafs represented Canada, Lewiston represented the United States and an all-star team was formed out of the English National League. 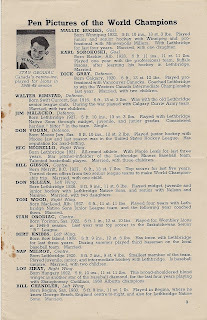 After the Leafs won the World Championship they had trouble getting motivated to prepare for the Winston Churchill Cup. It appeared that the cup was originated to revitalize the English game. 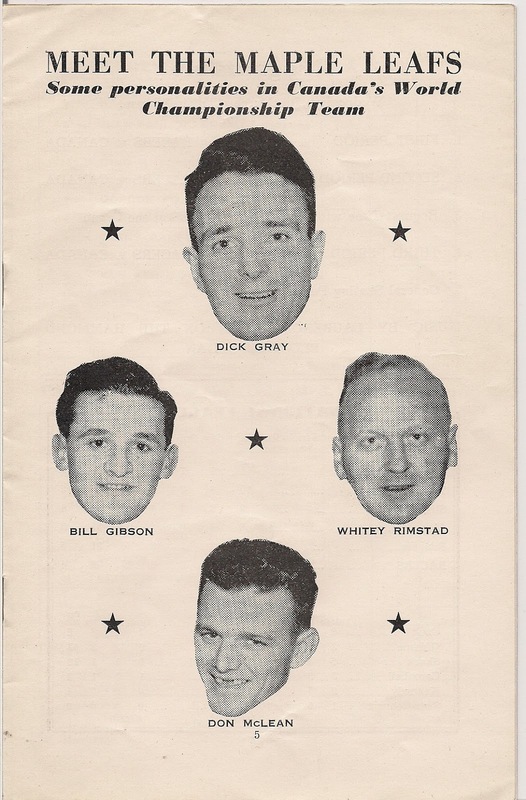 They hoped the cup series would not tarnish their world championship win if they did not win the cup. 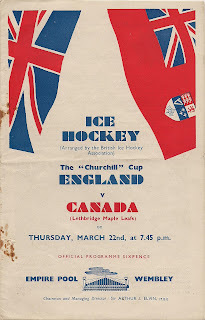 The Maple Leafs first game was against the Americans at Harringay. 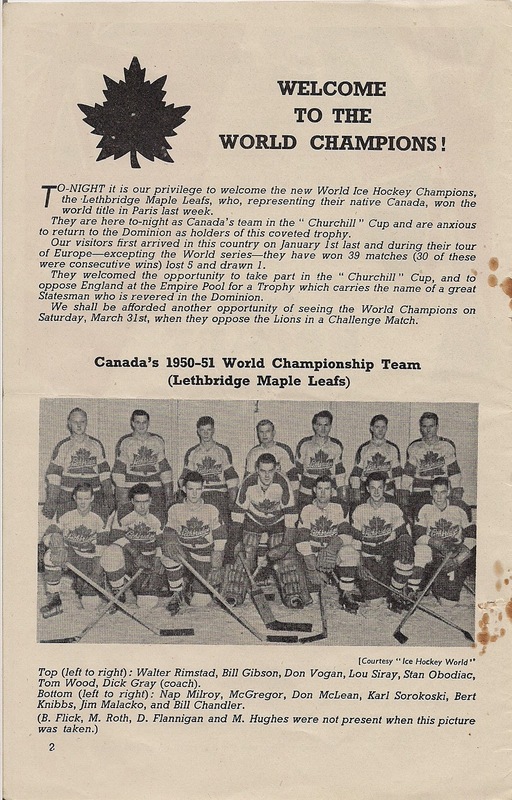 The Leafs handled them easily at the world championships. The Americans used the Swedish strategy of strong defence to keep the score down. 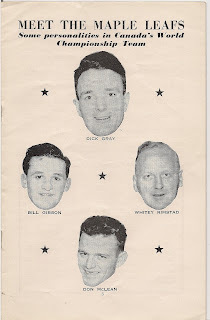 Negrello and McLean were not in the line-up and Rimstead was rested. 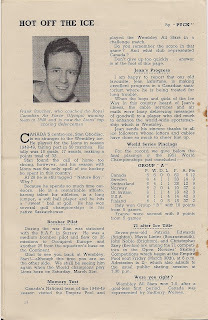 Flanagan led the scoring with a 2 goal night as the Leafs won the game 5 – 0. Sorokoski got the shutout. 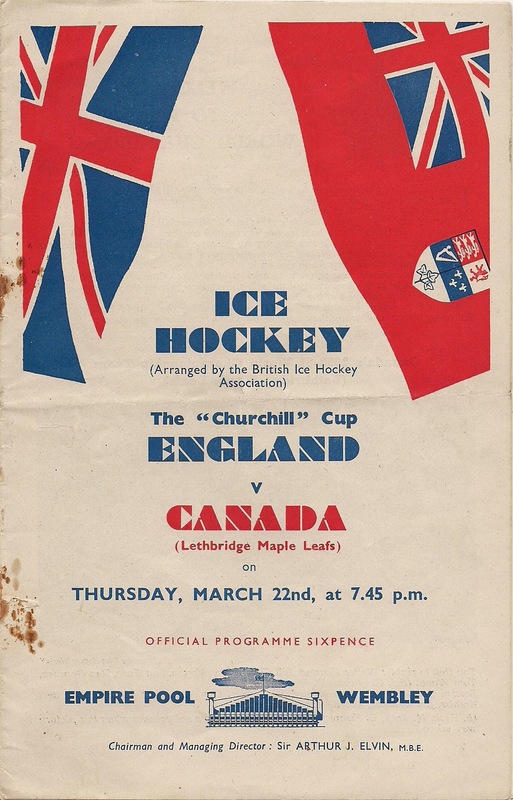 The Leafs were one win away from a Winston Churchill Cup victory but it would be against the strongest team they had seen to date.